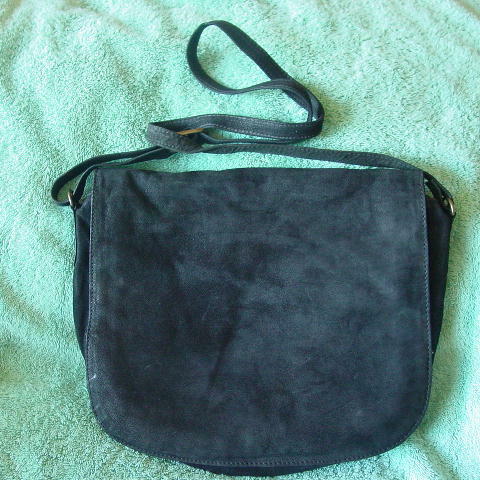 This vintage genuine leather (soft suede) black purse was made in India by Emily Ann of Boca Raton. 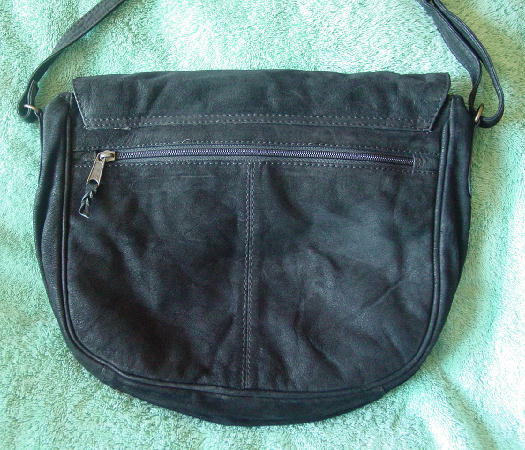 It has a full front flap and a 45" long (current configuration) by 5/8" wide suede adjustable shoulder strap. There is a magnetic snap closure under the front flap. The back has a large fabric lined zippered compartment. The interior has 3 sections, the center one having a side to side zippered top. The back one has a zippered pocket with an Emily Ann logo tag. 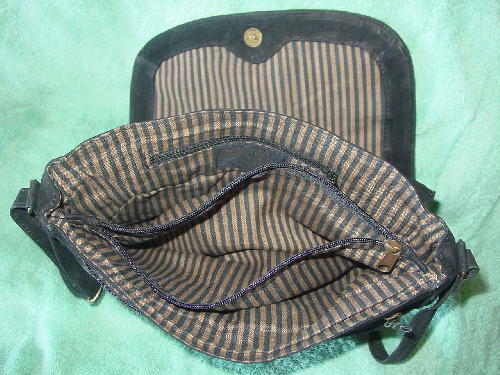 The front section of the purse, hidden under the flap, has a large lined zippered section, 3 large vertical pockets with a little snap closure coin purse attached to the front of the bottom pocket, a center pen holder, and a right side long snap closure pocket. The fabric lining is in a black and golden-wheat striped pattern. The front right bottom side has some shiny marks on the suede.